These notes, and the accompanying text, are based on Thomas North's 1579 translation of Plutarch's Lives of the Noble Greeks and Romans, with some substitutions from John Dryden's 1683 translation [in brackets]. I have updated spelling, and occasionally punctuation. There are also a number of omissions, either for length or for suitability, which are not always noted. I have tried to be respectful to Plutarch's text, but have amplified and clarified where it seemed helpful for students and parents/teachers. The format of the study notes is fairly simple. 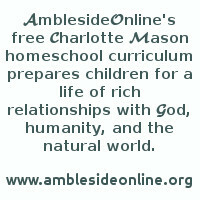 Each Life is divided into twelve lessons (as the AmblesideOnline terms are divided into twelve weeks). I have included vocabulary words and narration/study questions, but there is no requirement that you use them in a traditional classroom style. In fact, it's probably better if you don't. The vocabulary words are there only to save time on having to look things up, or to explain puzzles like the word "let," which can mean either "allow" or "prevent." Charlotte Mason mentions teaching a few necessary words before beginning a story, such as unfamiliar types of buildings or weapons (with pictures if necessary). Some, such as The Life of Pyrrhus, include a bonus Word Study feature. Those following Charlotte Mason's educational methods will want to include oral or written narration (telling back in the student's own words), and oral narration can take place more than once during a lesson. Sometimes I have suggested a "creative narration," such as an interview or a writing assignment. Some of the lessons are divided into two or three sections. These can be read all at once, or used throughout the week. I encourage you to make the lessons your own. Use the discussion questions that are the most meaningful to you, and skip the rest. It's better if the students ask the questions, at least some of the time. And remember that Charlotte Mason was satisfied with "Proper names are written on the blackboard, and then the children narrate what they have listened to." Finally, you may notice that some of the questions come from a specifically Christian worldview. I do not apologize for that, but I do think it's fair to mention it. Those with other beliefs may find similar references within their own faith traditions.